Why is the Wear an appendage of the Tyne? Why is the ‘North Humber Land’ of Northumberland so far north of the Humber? Why is so much of the River Tees not even part of the ‘Tees Valley’? In this blog, historian DAVID SIMPSON laments the loss of the straightforward traditional, easy to understand historic counties of the North East and Yorkshire. Yorkshire, Durham and Northumberland are ancient counties with roots going back a thousand years or more but something changed in the 1970s that left communities confused and disembodied in a legacy that continues to this day. It was during that decade that those long-lived county regions were broken into little pieces, redefined for economic or political purposes and given artificial names that were in some cases little more than marketing brands. Take Yorkshire for instance. It was recorded as ‘Eoferwicscire’ as far back as 1055, though its roots are much older than that. It developed from the Viking Kingdom of York and its three ancient ‘Ridings’. Indeed it was the Vikings who divided Yorkshire into the three parts called ‘Ridings’ (North, West and East) from the Norse word ‘thrithing’ or ‘þriðjungr’ meaning ‘third part’. Despite this ancient division the Vikings didn’t re-brand the three individual bits with cumbersome names. They kept things clear. Yorkshire or ‘York’ as it was often simply known remained intact and the ‘Ridings’ remained in place up until 1974. It was in 1974 that London’s brutal battleaxe of bureaucratic boundary changes hit Yorkshire as it did many other places in Britain. A new county called ‘Humberside’ was hacked out of Yorkshire’s south eastern corner and it annexed rather a lot of Lincolnshire too. People from Hull, wherever they might venture, now had to justify that they were still in fact Yorkshiremen, maintaining their centuries old right. In 1996 Humberside was of course ultimately abolished and quite rightly too. It was then that the East Riding of Yorkshire re-merged (now the only riding) and although Hull’s separate city status was acknowledged, its place in Yorkshire is clear. It was in 1974 that Cleveland was created too. Now, as a name Cleveland was not without precedent. Even the Vikings knew of it, calling it ‘Cliffland’ in their time. As an ancient district it was part of Yorkshire and exclusively part of Yorkshire, that is to say part of that giant historic county south of the Tees. 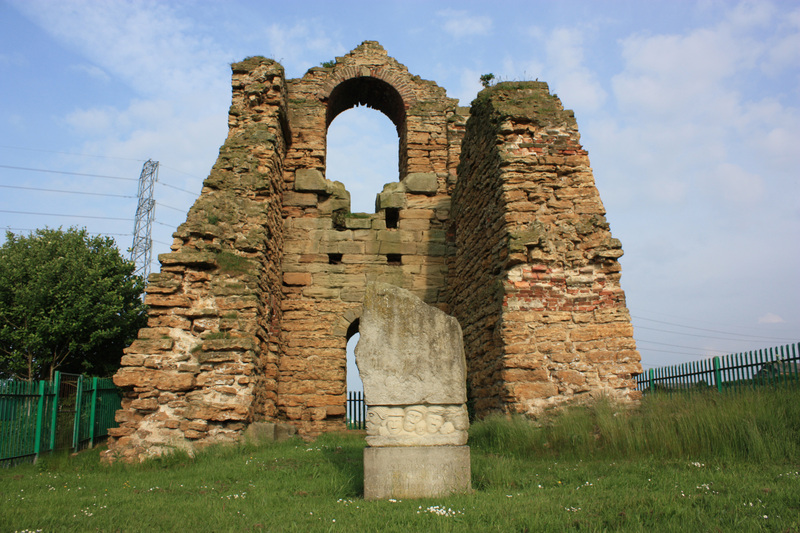 This Cleveland – the real Cleveland – stretched as far west as the little town of Yarm, encompassed Middlesbrough (a monastic cell in medieval times) and stretched right down to the River Esk at Whitby taking in the Cleveland Hills and the beautiful Cleveland coast. 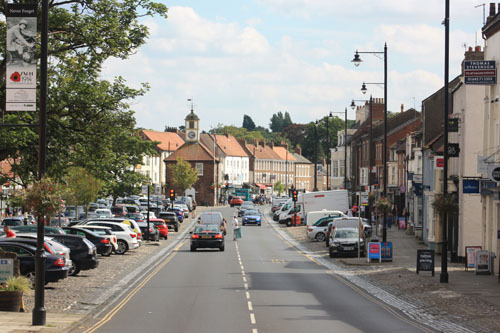 The Yorkshire town of Yarm lies within a loop of the River Tees. 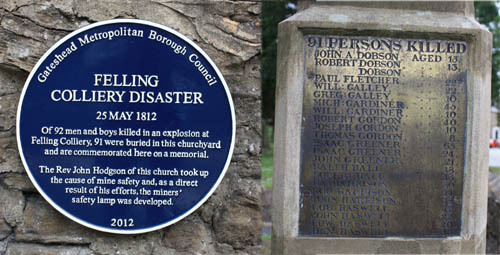 It was part of the Cleveland district of Yorkshire. 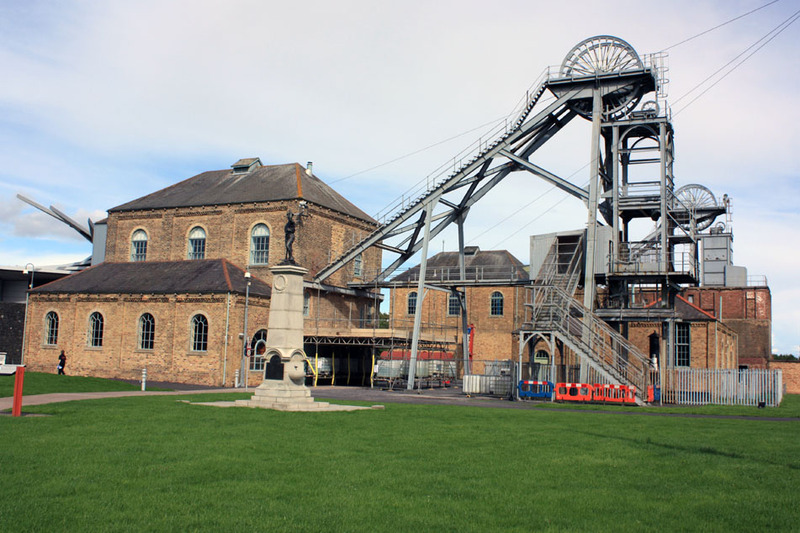 It is part of Stockton-on-Tees Borough. Unlike Yarm, Stockton was historically a County Durham town. However, the new 1974 County of Cleveland was something quite different to the old Cleveland district of Yorkshire. The new Cleveland still included Middlesbrough and Yarm and some of the Cleveland coastal towns but this county of Cleveland was, in historic terms, an awful anomaly. For a start, Hartlepool, the ancient sea port of County Durham was annexed to Cleveland’s expanded realm along with the historic Durham towns of Stockton and Billingham and pretty villages like Egglescliffe and Norton. Yet south of the Tees much of the real, historic Cleveland was not included in the new county. So, bizarrely, most of the Cleveland Hills and the village of Carlton-in-Cleveland were not included in the new County of Cleveland. The nonsense of ‘Cleveland the county’ eventually ended (as it did with Humberside) in 1996 after an existence of only 22 years but it was only to be replaced by a new kind of nonsense some twenty years later. The so-called ‘Tees Valley Combined Authority’ (an awful mouthful it has to be said) began life as a ‘local enterprise partnership’ in 2011 but then became a combined authority in 2016. The new authority was more or less identical to the county of Cleveland, but now also included the historic County Durham town of Darlington which had long been the focal town for South Durham. There was apparently much support for this new combined authority across that region with 65 per cent of people voting in its favour. In fact, on closer examination (according to Wikipedia) there were only over 1,900 responses to this question – that’s not very many when we consider the Tees Valley region has a population of 700,000. ‘Barney’ as it is known to locals is the capital of Teesdale, on the north bank of the river and still in County Durham as it has been fro many centuries. 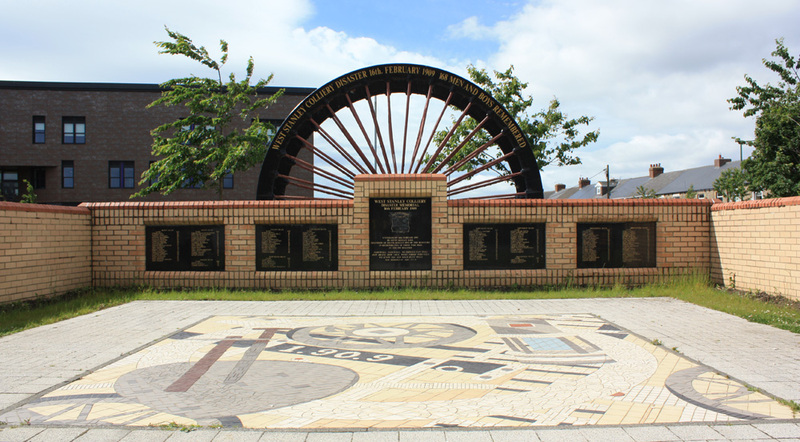 Then we have Hartlepool an historic town with an extraordinary history that was once one of Britain’s major sea ports is situated on the North Sea coast. 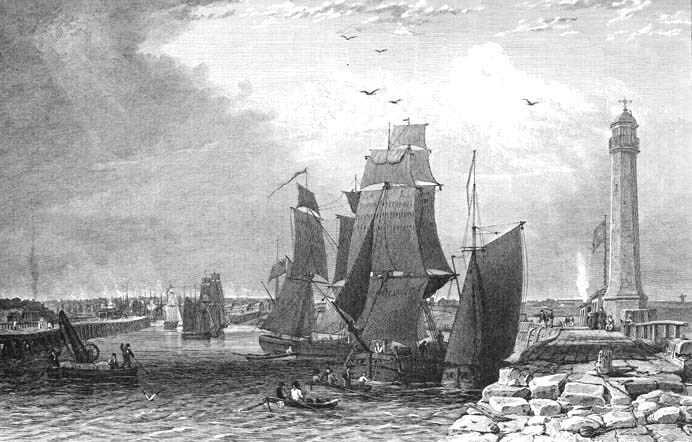 Hartlepool was never a port on the River Tees but is included as part of the Tees Valley. The reality is of course that Tees Valley is rather a nice marketing term for Teesside with Hartlepool and Darlington thrown in for good measure. It has no real historic meaning beyond that. If you think about it though Tees Valley has a quite a nice ring to it and it is a much more pleasing name than the now deeply ingrained and for some reason widely accepted term ‘Tyne and Wear’ which the American writer Paul Theroux compared to ‘Time and Wear’ (as in worn by time) but we’ll come to that ‘county’ in a moment. North of the Tees (and yes we do mean the Tees) the name Northumberland (or in Latin style ‘Northumbria’) survived the Viking annexation of Yorkshire. It was a reminder that the whole of the North was once the name of the ancient kingdom of everything English north of the Humber. 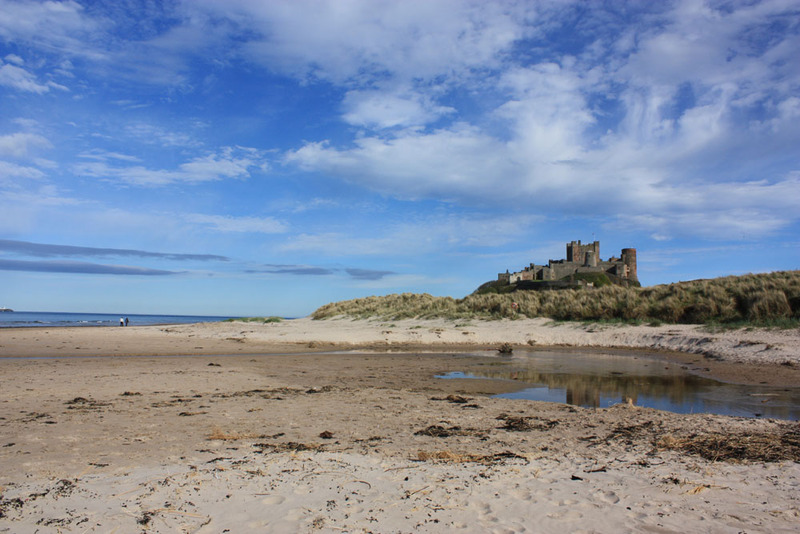 During the Viking era this remaining Northumbrian rump split into two parts with the land between the Tyne and Tees ultimately becoming County Durham, but the term Northumberland continued to be used north of the Tyne. 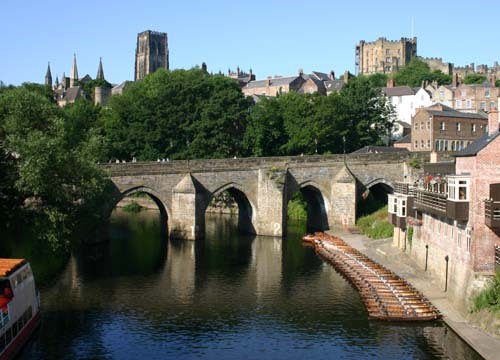 Durham developed as a kind of buffer state between Viking Yorkshire and the rest of Northumberland. 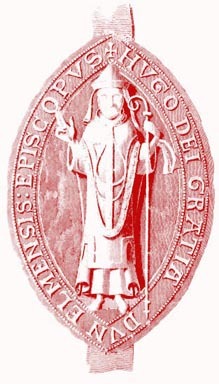 Centred initially on Chester-le-Street (Conecaster) and then later Durham City it was focused on the revered shrine of St Cuthbert. ‘St Cuthbert’s Land’ as the fledgling County Durham was known was later called ‘Haliwerfolc’ (meaning Holy-man-people and certainly more northern than the ‘folc’ of Norfolk). It was recorded as Dunelmensisschira meaning Durham-Shire in 1100 but ‘shire’ or ‘folk’ never caught on as part of Durham’s name. As a County Palatine ruled by Prince Bishops, the name County Durham later came into being as the Prince Bishops’ powers depleted. 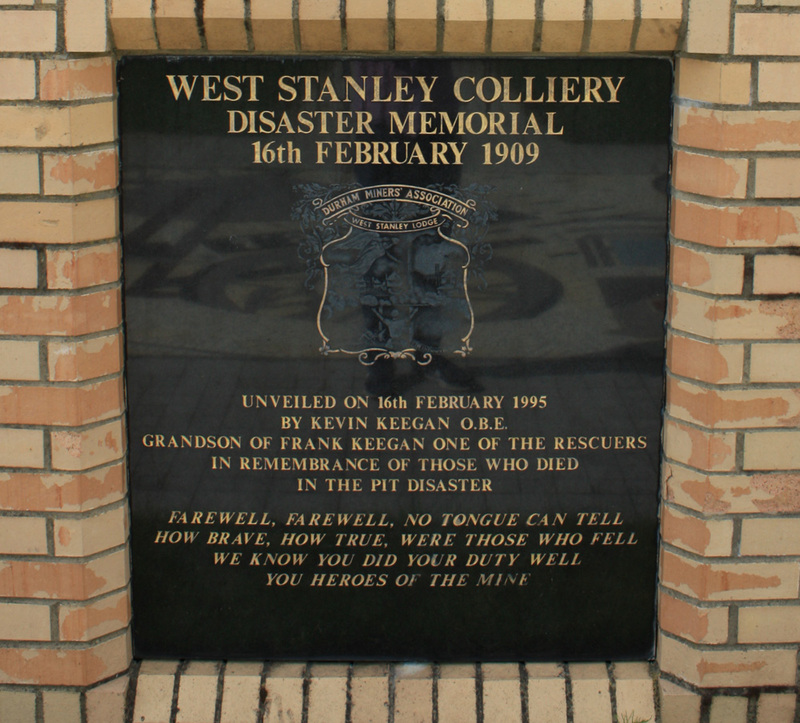 We should not forget that their influence was extensive across the region. I’m always amused by road signs telling yo that you’re entering the ‘Land of the Prince Bishops’ on the A19 near Sheraton just north of Hartlepool or on the A1(M) south of Washington. The ‘Land of the Prince Bishops’ in fact begins at the Tees and ends at the Tyne not according to some modern make-shift administrative boundary. In fact it ends about a quarter of way across the Tyne on the Gateshead side. 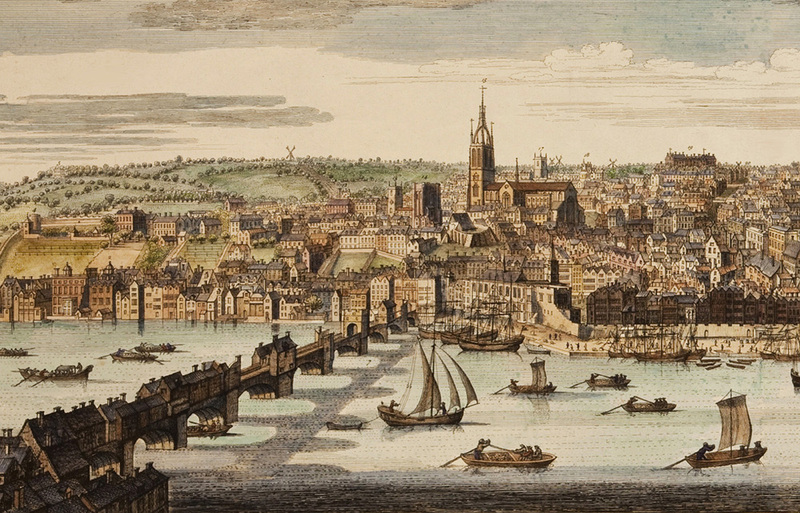 The boroughs of Sunderland and Gateshead were founded by the Prince Bishops marking the very beginning of those places as towns. 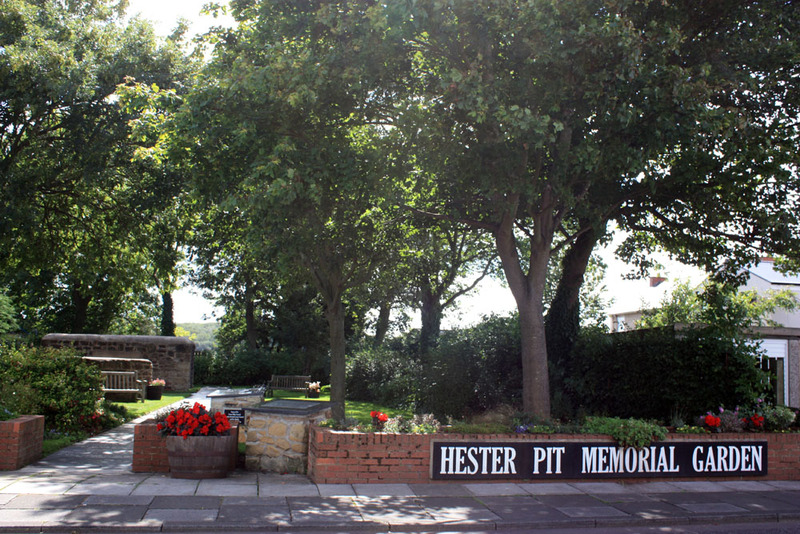 Hartlepool was the Prince Bishop’s port, Stockton the site of one of their major castles. The Priors of Durham founded the port of South Shields. 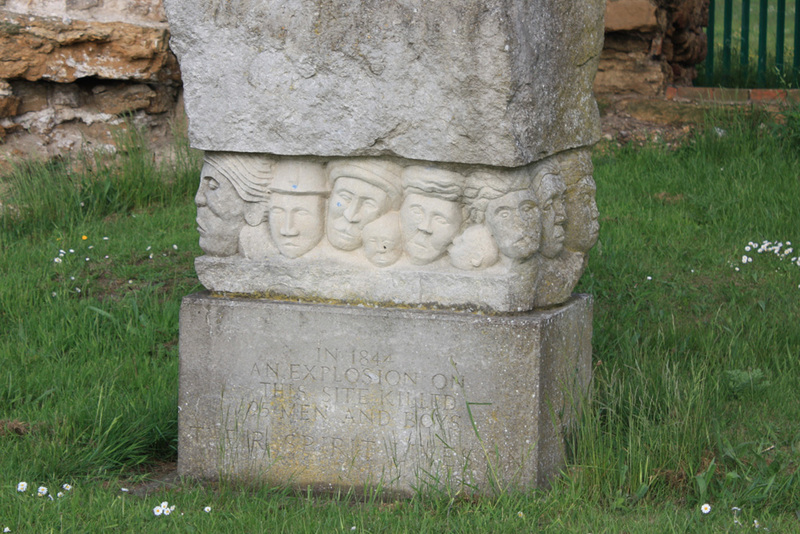 And of course the links between Washington (Washingon CD for County Durham) and the beginnings of the esteemed family of that nameis also directly linked to the Prince Bishops. Agreed that all of these events are a very long time ago but these places are still linked to the unique history of Durham. It’s part of what makes them special and interesting and different and part of their historic identity. Durham continued to act as a kind of buffer state in post Conquest times with its defensive focus now, like that of Northumberland, directed towards the constant inroads of invading Scots. In later times Durham’s rich medieval roots were eclipsed by a new era of industrialisation. 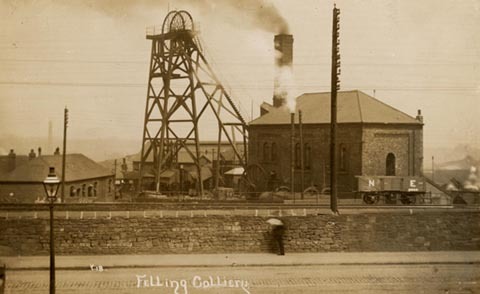 It became an industrial powerhouse of shipbuilding and engineering and above all coal mining with a population straddling the banks of the three great rivers of the North East and the Durham coalfield itself stretching north to the banks of the Tyne. County Durham of course shared the Tyne with the neighbouring county of Northumberland (and with Newcastle) and shared the Tees with Yorkshire. 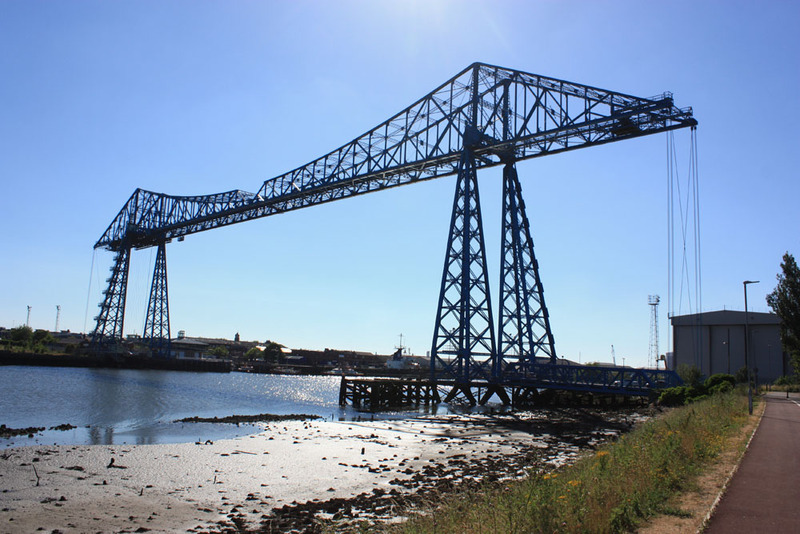 It’s true that some of the strongest regional identities developed in the riverside communities where the allegiance can be more to the river rather than the county but this isn’t adequately reflected in terms like Tees Valley or Tyne and Wear. Tynesiders and Teessiders and Wearsiders all identify most closely with their riverside communities which unite each of the people in each of the three areas. 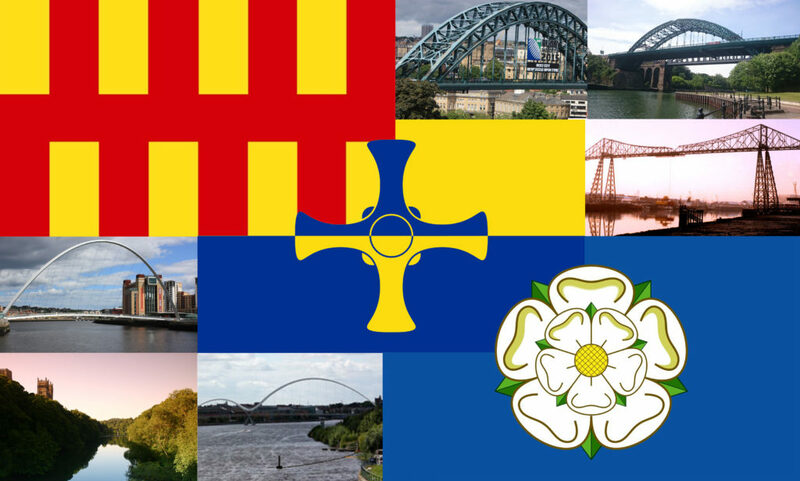 I think it’s unlikely you’ll ever hear anyone identify themselves with Tyne and Wear or Tees Valley – unless they’re a politician. The Wear is odd man out as far as the three great rivers go as it was never a shared river in terms of county allegiance. It was and undoubtedly still is the County Durham river, rising in the Durham fells before flowing through Weardale, the historic town of Bishop Auckland, the City of Durham and Chester-le-Street. The it leaves the county without any apparent natural reason, eventually entering the sea at Sunderland in what is or was the largest and perhaps proudest of all the Durham towns – though now of course a city. It is to Sunderland to which this County Durham river is now most closely linked yet for the entire course of County Durham’s history up until 1974 it was entirely a County Durham river . Today Sunderland is no longer in County Durham and any glance of the map shows that has become an appendage of the so-called ‘Tyne and Wear’. Like Cleveland and Humberside ‘Tyne and Wear’ was established as a county in 1974 and despite its let’s be honest ugly name is still somehow going strong today, although now as a unified partnership of individual boroughs and cities linked by economic interests and an admittedly excellent integrated transport system. Like ‘Tees Valley’ the Tyne and Wear makes much sense on an economic and business level but culturally and geographically there is something highly contrived about the term ‘Tyne and Wear’. In my view, any label given to a geographical entity that includes the doubtfully justifying word ‘and’ in its title must clearly have some kind of inherent disunity at some level. It might work for a business partnership but for political geography the term ‘and’ never really convinces. 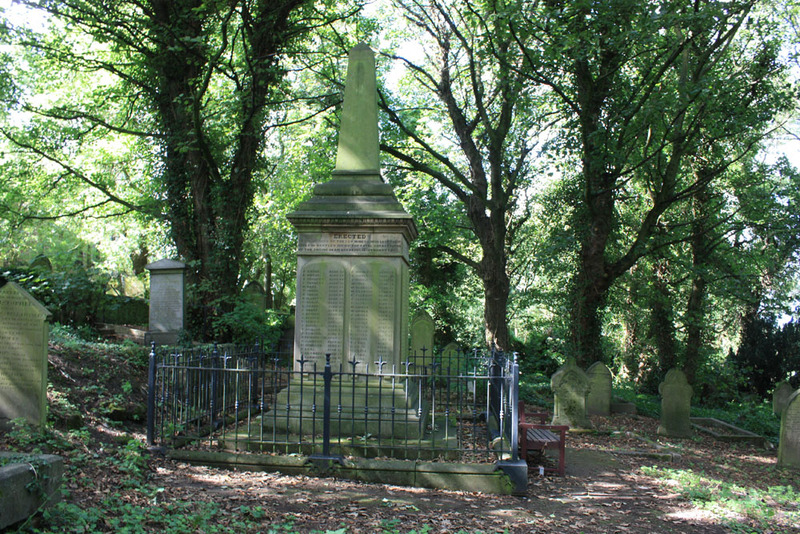 Wearside, the City of Sunderland has a population of around 270,000 people that includes large, neighbouring towns, but in reality places like Washington and Houghton-le-Spring which may close relationships with Sunderland are really separate entities. Tyneside by comparison is mostly a continuous almost homogeneous urban region (perhaps not an endearing description) straddling two sides of the Tyne. Tyneside has a much larger population than Wearside with around one million people – a point, incidentally, rarely taken into account when comparing the relative size of support for the rival Tyne-Wear football teams . It would be interesting to know what people think of the old counties and if they still fell an affiliation to them within the Tyne and Wear and Tees Valley regions. I suspect older people, particularly in outlying towns and villages in boroughs and cities like Gateshead, Sunderland and Newcastle may still have a closer affiliation to traditional counties rather than the modern ones and those in the larger towns connect more closely with terms Tynesider (or Geordie), Wearsider/Mackem or Teessider. On my travels I have certainly found an affinity with older people to the traditional counties such as County Durham in places like Houghton-le-Spring and Hetton-le-Hole. North of the Tyne Newcastle, Gosforth and particularly North Tyneside: Whitley Bay, Tynemouth and North Shields in particular certainly seem to me to have something very Northumbria in their nature and personality as much as they are ‘Geordie’ when compared to say Gateshead or South Shields to the south of the river. 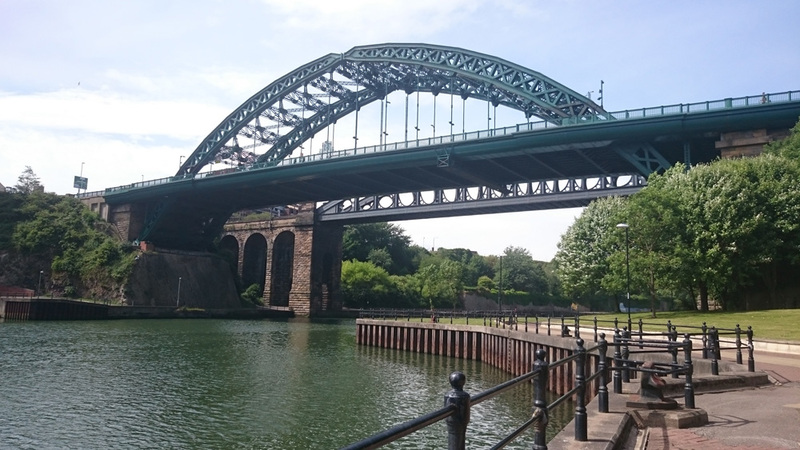 Of course the Tyne (like the Tees) despite its different communities unites as much as it divides, whether it be in the form of the wider ‘Geordie’ culture or in sporting terms where Tyneside is mostly ‘United’ in Newcastle as its focal centre. 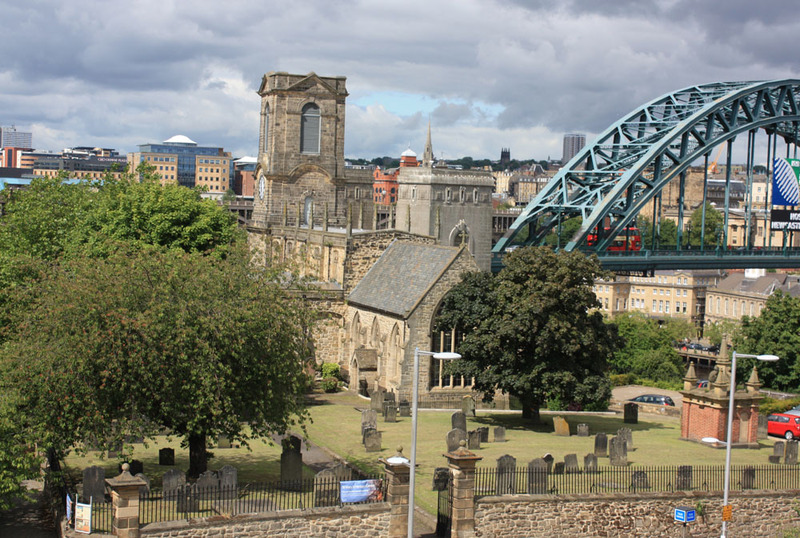 However places north of the Tyne: Newcastle, North Tyneside and Northumberland all voted in favour. 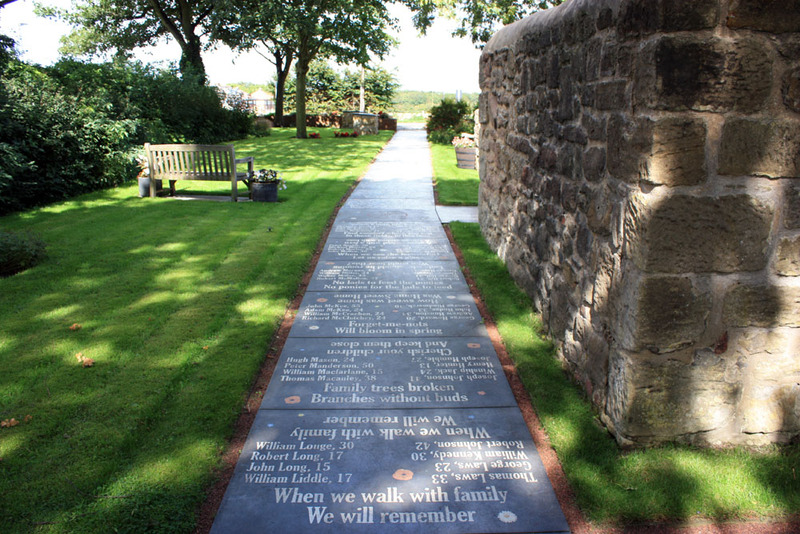 Subsequently a new deal was formulated solely focused on the region north of the Tyne – the Northumberland of old. Historic identities dating back thousands of years are perhaps harder to shift than we realise despite the brutal machinations and manoeuvrings of London bureaucrats and local marketing men. *Note confusingly 1974 also saw the annexation of that part of Teesdale south of the River Tees from Yorkshire into County Durham, moving places such as Romaldkirk and Mickleton into Durham. 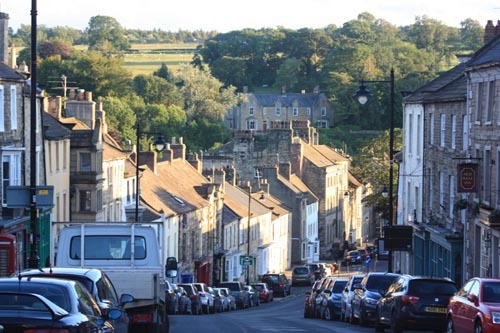 The administration of Teesdale is of course focused on Barnard Castle, historically a County Durham town on the north side of the river. ** The ‘Tees Valley’ counties were not included in the North East combined authority vote as they already had their own version of this.